Stels Pilot 130 16" (2010) 3,430 руб. Stels Pilot 200 Boy (2010) 4,200 руб. Stels Pilot 200 Girls (2010) 4,200 руб. Stels Pilot 210 Boy (2010) 3,800 руб. Stels Pilot 210 Girls (2010) 3,800 руб. Stels Pilot 250 (2010) 7,000 руб. Stels Pilot 270 (2010) 7,530 руб. Stark Player (2013) 4,800 руб. Stark Player (2008) 7,560 руб. Stark Slider (2008) 10,480 руб. Stark Player Alloy (2008) 9,690 руб. Stark Striky (2008) 9,080 руб. Stark Striky Alloy (2008) 12,010 руб. Stels Navigator 400 (2013) 6,910 руб. Stels Navigator 410 (2013) 7,080 руб. Stels Navigator 430 (2012) 8,350 руб. Stels Navigator 450 (2013) 8,420 руб. Stels Navigator 470 (2013) 9,300 руб. Stels Challenger 24 (2012) 9,410 руб. Stark Fortune (2008) 10,510 руб. Stark Indy (2008) 8,320 руб. Stark Indy Alloy (2008) 11,330 руб. Stark Chaser (2008) 11,730 руб. Stark Temper (2008) 9,859 руб. Stark Router (2008) 13,060 руб. Stark Status (2008) 13,570 руб. Stark Tactic (2008) 13,570 руб. Stark Router Disс (2008) 14,280 руб. Stark Funriser Sport (2008) 14,490 руб. Stark Stinger Ride (2008) 15,100 руб. Stark Tactic Disc (2008) 14,760 руб. Stark Funriser Comp (2008) 16,390 руб. Stark Surfer Comp (2008) 22,140 руб. Stark Stinger Sport (2008) 16,700 руб. Stark Stinger Comp (2008) 18,000 руб. Stark Surfer Comp Disc (2008) 20,960 руб. Stark Surfer Race Disc (2008) 26,000 руб. Stark Voxter Comp (2008) 28,900 руб. Stark Voxter Race (2008) 36,210 руб. Stark Surfer Marathon (2008) 40,460 руб. Stark Teaser (2008) 49,100 руб. Stark Beat (2008) 53,100 руб. Stark Krafter (2008) 46,900 руб. Stark Devolution (2008) 91,750 руб. Stels Navigator 510 (2010) 8,740 руб. Stels Majestic (2010) 8,900 руб. Stels Navigator 500 (2010) 7,430 руб. Stels Navigator 530 (2010) 6,850 руб. Stels Navigator 550 (2010) 7,950 руб. Stels Navigator 570 (2010) 7,850 руб. Stels Navigator 600 (2010) 8,050 руб. Stels Navigator 610 (2010) 9,200 руб. Stels Navigator 630 (2010) 10,150 руб. Stels Navigator 650 (2010) 11,360 руб. Stels Navigator 710 (2010) 11,100 руб. Stels Navigator 730 (2010) 10,650 руб. Stels Navigator 750 G (2010) 10,990 руб. Stels Navigator 770 G (2010) 12,500 руб. Stels Navigator 800 (2010) 11,720 руб. Stels Navigator 810 (2010) 10,900 руб. Stels Navigator 830 (2010) 9,400 руб. Stels Navigator 830 Disc (2010) 13,700 руб. Stels Navigator 850 (2010) 13,400 руб. Stels Navigator 850 Disc (2010) 14,890 руб. Stels Navigator 870 (2010) 15,100 руб. Stels Navigator 870 Disc (2010) 16,990 руб. Stels Navigator 890 (2010) 19,880 руб. Stels Navigator 890 Disc (2010) 24,350 руб. Stels Navigator 910 (2010) 14,600 руб. Stels Navigator 930 (2010) 13,300 руб. Stels Challenger 26 (2010) 8,990 руб. Stels Focus (2010) 7,950 руб. Stels Tornado (2010) 11,100 руб. Stels Voyager (2010) 12,700 руб. Stels Adrenalin (2010) 12,700 руб. Stels Navigator 910 Disc (2010) 20,580 руб. Stels Navigator 930 Disc (2010) 24,690 руб. Wels Next Steel 10,200 руб. Wels Upland Alloy 6,800 руб. Wels Yupiter Steel 11,000 руб. Wels Titanik (Aluminium) 16,900 руб. Wels Titanik (Steel) 10,200 руб. Stels Pilot 310 (2007) 3,521 руб. Stels Pilot 300 (2010) 4,410 руб. Stels Pilot 310 (2010) 4,550 руб. Stels Pilot 410 (2010) 4,200 руб. Stels Pilot 420 Люкс (2010) 5,000 руб. Stels Pilot 450 Люкс (2010) 5,740 руб. Stels Pilot 710 (2010) 5,300 руб. Stels Pilot 720 (2010) 5,650 руб. Stels Pilot 750 (2010) 6,300 руб. Stels Pilot 770 (2010) 8,900 руб. Stels Pilot 820 Al (2010) 6,150 руб. Stels Pilot 850 Al (2010) 7,300 руб. Author Compact (2008) 9,300 руб. Author Horizon (2008) 13,500 руб. Author Classic (2008) 15,500 руб. Author Stratos (2008) 17,600 руб. Author Reflex (2008) 16,700 руб. Author Zenith (2008) 24,200 руб. Author Airline (2008) 29,850 руб. Author Mission (2008) 30,450 руб. Stels Cyclone (2010) 9,760 руб. Wels City Bike Al 6,000 руб. Author Synergy (2009) 51,990 руб. Author Mission (2009) 26,490 руб. Author Airline (2009) 25,800 руб. Author Zenith (2009) 19,950 руб. Author Reflex (2009) 17,990 руб. Author Stratos (2009) 15,490 руб. Author Classic (2009) 13,990 руб. Author Horizon (2009) 12,490 руб. Author Compact (2009) 8,700 руб. Author Horizon (2010) 13,100 руб. Author Linea (2010) 13,100 руб. Author Classic (2010) 15,200 руб. Author Integra (2010) 15,200 руб. Author Stratos (2010) 16,200 руб. Author Vista (2010) 16,200 руб. Author A-Gang RITUAL 3.0 (2010) 16,800 руб. Author A-Gang RITUAL 4.0 (2010) 18,000 руб. Author Corsa (2010) 18,600 руб. Author Reflex (2010) 18,600 руб. Author Enigma (2010) 21,900 руб. Author Zenith (2010) 22,100 руб. Author A-Gang RITUAL 5.0 (2010) 22,400 руб. Author Mission (2010) 27,400 руб. Author Airline (2010) 27,900 руб. Author A-Gang SIN CITY (2010) 28,000 руб. Author A-Gang RITUAL 6.0 (2010) 30,100 руб. Author Codex (2010) 35,500 руб. Author Avion (2010) 46,000 руб. Author Synergy (2010) 57,200 руб. Author Compact (2010) 10,300 руб. Author Thema (2010) 10,300 руб. Stark Peloton (2008) 21,990 руб. Author A 4400 (2008) 36,200 руб. Author A 5500 (2008) 62,490 руб. Author A 6600 (2008) 72,000 руб. Author CA 5500 (2008) 82,800 руб. Author CA 6600 (2008) 110,800 руб. Author CA 7700 (2008) 182,900 руб. Author CA 8800 (2008) 200,000 руб. Author CA 8800 (2009) 170,600 руб. Author CA 7700 (2009) 140,600 руб. Author CA 6600 (2009) 94,800 руб. Author CA 5500 (2009) 71,300 руб. Author A 5500 (2009) 55,400 руб. Author A 4400 (2009) 23,990 руб. Author A 4400 (2010) 34,000 руб. Author A 5500 (2010) 46,700 руб. Author CA 5500 (2010) 77,800 руб. Author CA 6600 (2010) 107,200 руб. Author CA 8800 (2010) 202,800 руб. Author CA 7700 (2010) 214,900 руб. Author CA 9900 (2010) 284,600 руб. Stark Satellite Alloy (2008) 11,880 руб. Stark Image (2008) 13,770 руб. Stels Navigator 130 (2010) 7,500 руб. Stels Navigator 200 (2010) 5,060 руб. Stels Navigator 210 (2010) 6,170 руб. Stels Navigator 300 (2010) 5,100 руб. Stels Navigator 310 (2010) 6,610 руб. Stels Navigator 700 (2010) 9,790 руб. Author Seance (2008) 18,590 руб. Author Triumph (2008) 21,400 руб. Author Advent (2009) 27,900 руб. Author Triumph (2009) 18,650 руб. Author Simplex (2009) 15,490 руб. Author Majesty (2010) 14,900 руб. Author Simplex (2010) 16,900 руб. Author Seance (2010) 17,500 руб. Author Viva (2010) 18,100 руб. Author Dynasty (2010) 19,500 руб. Author Triumph (2010) 20,100 руб. Author Symphony (2010) 29,300 руб. Author Advent (2010) 30,000 руб. Stark Karma (2008) 10,500 руб. Stark Indy Lady (2008) 8,320 руб. Stark Indy Lady Alloy (2008) 8,450 руб. Stark Satellite Lady Alloy (2008) 11,880 руб. Stark Chaser Lady (2008) 11,730 руб. Stark Temper Lady (2008) 12,210 руб. Stark Router Lady (2008) 13,060 руб. Stark Plasma (2008) 13,570 руб. Stels Navigator 500 Lady (2010) 6,200 руб. Stels Navigator 650 Lady (2010) 9,200 руб. Stels Navigator 710 Lady (2010) 9,350 руб. Stels Navigator 730 Lady (2010) 9,500 руб. Stels Navigator 810 Lady (2010) 8,800 руб. Stels Navigator 850 Lady (2010) 10,500 руб. Stels Navigator 870 Lady (2010) 13,000 руб. Stels Navigator 130 Lady (2010) 7,500 руб. Stels Navigator 335 Lady (2010) 4,600 руб. Stels Navigator 700 Lady (2010) 9,700 руб. Author Ultima (2008) 7,590 руб. Author Vectra (2008) 7,200 руб. Author Thema (2008) 9,350 руб. Author Unica (2008) 10,200 руб. Author Spectra (2008) 9,400 руб. Author Linea (2008) 13,370 руб. Author Quanta (2008) 15,400 руб. Author Integra (2008) 12,800 руб. Author Basic Asl (2008) 17,650 руб. Author Vista (2008) 14,650 руб. Author Corsa (2008) 20,400 руб. Author Dynasty (2008) 20,900 руб. Author Kinetic Asl (2008) 20,700 руб. Author Traction Asl (2008) 26,200 руб. Author Enigma (2008) 30,450 руб. Author Instinct Asl (2008) 46,200 руб. Stels Navigator 750 Lady (2010) 11,500 руб. Author Instinct Asl (2009) 39,950 руб. Author Enigma (2009) 26,550 руб. Author Traction Asl (2009) 22,700 руб. Author Corsa (2009) 17,990 руб. Author Symphony (2009) 27,600 руб. Author Kinetic Asl (2009) 17,960 руб. Author Viva (2009) 15,990 руб. Author Seance (2009) 15,800 руб. Author Vista (2009) 15,490 руб. Author Basic Asl (2009) 14,980 руб. Author Integra (2009) 13,990 руб. Author Quanta (2009) 12,590 руб. Author Linea (2009) 12,790 руб. Author Unica (2009) 9,700 руб. 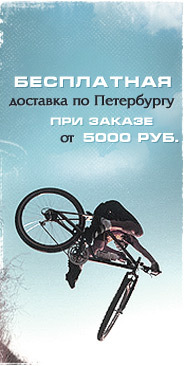 Author Thema (2009) 8,700 руб. Author Dynasty (2009) 18,100 руб. Stark Madness (2008) 8,060 руб. Stark Zonker (2008) 11,560 руб. Stark Gravity (2008) 9,050 руб. 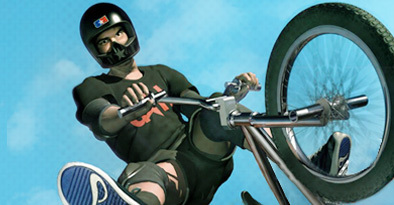 Stark Race BMX (2008) 13,570 руб. Author Buzz (2008) 12,850 руб. Author Massacre (2008) 14,800 руб. Author Massacre (2009) 12,900 руб. Author Buzz (2009) 11,590 руб. Stark Trial S.T.R (2008) 16,970 руб. Stark Jigger (2008) 19,890 руб. Stark Trial Mod (2008) 13,570 руб. Stark Shooter 1 (2008) 15,810 руб. Stark Shooter 2 (2008) 18,570 руб. Stark Pusher 1 (2008) 20,300 руб. Stark Grinder (2008) 26,520 руб. Stark Shooter 3 (2008) 25,470 руб. Stark Pusher 2 (2008) 25,470 руб. Stark Trial Team Mod (2008) 30,570 руб. Stark Trial Team (2008) 30,570 руб. Stark Pusher 3 (2008) 37,370 руб. Stark Shooter 4 (2008) 35,780 руб. Stark Pusher Single (2008) 45,520 руб. Stark Team Shooter (2008) 51,300 руб. Stels Aggressor (2010) 13,200 руб. Stels Scorpio 1 (2010) 11,000 руб. Stels Scorpio 2 (2010) 15,500 руб. Author A-Gang 5mm (2008) 16,500 руб. Author A-Gang a.m. (2008) 18,900 руб. Author Exe 24:00 (2008) 21,500 руб. Author Exe (2008) 30,000 руб. Author A-Gang 6mm (2008) 26,200 руб. Author A-Gang 7mm (2008) 30,000 руб. Author A-Gang 9mm (2008) 53,900 руб. Author A-Gang 9mm (2009) 43,900 руб. Author Exe (2009) 26,990 руб. Author A-Gang 7mm (2009) 24,900 руб. Author A-Gang 6mm (2009) 19,990 руб. Author Exe 24:00 (2009) 19,390 руб. Author Exe a.m. (2009) 17,200 руб. Author A-Gang PIMP 1.0 (2010) 9,700 руб. Author A-Gang PIMP 2.0 (2010) 12,600 руб. Author A-Gang EXE 1.0 (2010) 13,900 руб. Author A-Gang EXE 24 (2010) 17,300 руб. Author A-Gang GANGSTA 4.0 (2010) 18,100 руб. Author A-Gang GANGSTA 5.0 (2010) 20,900 руб. Author A-Gang EXE 2.0 (2010) 22,000 руб. Author A-Gang GANGSTA 6.0 (2010) 22,500 руб. Author A-Gang GANGSTA 7.0 (2010) 26,900 руб. Author A-Gang GANGSTA 7.29 (2010) 28,600 руб. Author A-Gang GANGSTA 8.0 (2010) 47,300 руб.